Prior to the Greenlining Institute, he was Executive Director of Latino Issues Forum, Communications Manager at U.C. Berkeley, Executive Director of Project Participar, a citizenship program, and Marketing and Advertising Manager at Pacific Bell. As Executive Director for the Greenlining Institute, Mr. Gamboa focuses on public policy issues that promote economic development in urban and low-income areas, and in developing future leaders within this country’s minority youth. He has been active in combating redlining and in providing a voice for the poor and underserved in insurance, philanthropy, banking, housing, energy, higher education and telecommunications issues. 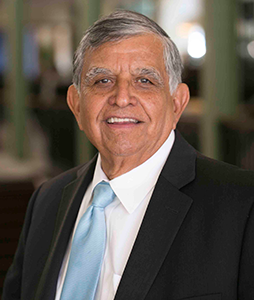 Mr. Gamboa has led and helped negotiate over $2.4 trillion in community reinvestment agreements from the nation’s leading financial institutions. A considerable percentage of these commitments have been tailored towards minority business development, affordable housing programs and innovative first-time homebuyer programs for immigrants. The National Federal Reserve Consumer Council in Washington, DC. The Common Cause board of directors. Chair of the California Public Utilities Commission’s investigative task force on marketing abuses on California’s low-income communities. The first Universal Lifeline Telephone Service (ULTS) Commission overseeing the implementation of Telephone Lifeline Service. The Health Access board of directors working to provide quality health care for the uninsured and under-insured residents of our country. Founder and first director of Latino Issues Forum. U.C. Berkeley chancellor Tien’s Community Advisory Committee providing input on current issues confronting U.C. Chairman of EDGE’s board of directors, an organization bringing minority and environmental community organizations together to work on common issues of growth.